There once was a time before the appearance of big box stores when tools were crafted as both objects of utility and beauty. With not a speck in plastic in sight, these objects shone in metal, brass, glass, and polished wood. 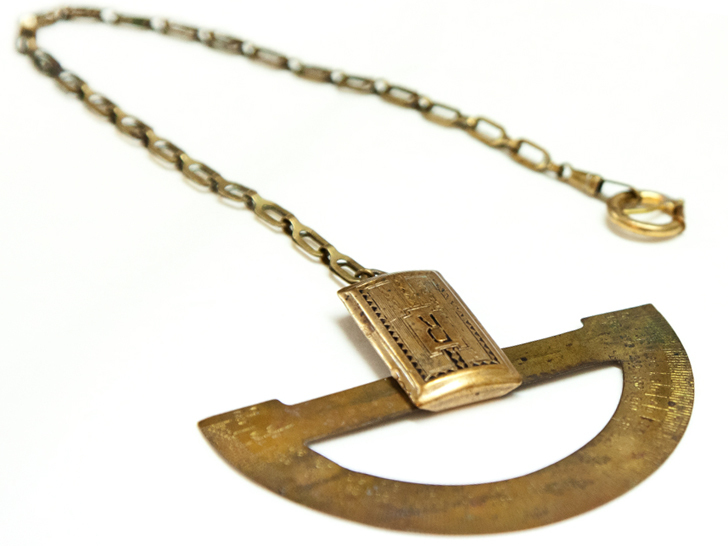 In his most recent line of accessories, dubbed Tools, Spanish designer Remedios Vincent uses reclaimed antique hardware to create jewelry glorifying the history and aesthetics of good craftsmanship. Remedios Vincent scours estate sales and second-hand shops for objects that attract his attention. He tends towards items of “a humble nature” used in common trades. 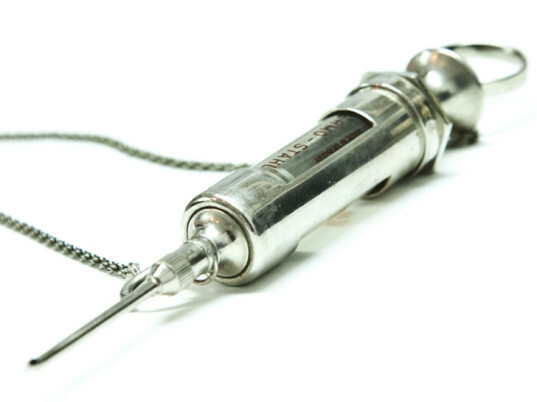 With the least interference possible, he takes forceps, gauges, measuring spoons, knives, and fishing tackle, and modifies them to be worn as accessories. 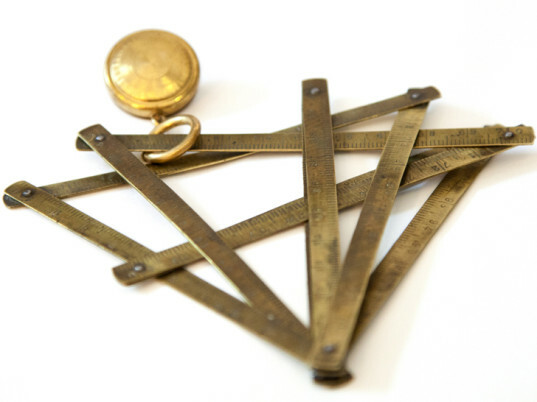 “Many of the tools I use and that I select from among many others that don’t interest me, are those that were somehow related to ancient and manual crafts, with particular attention to those which have served for the manufacture of other jewelry that now is probably highly valued, gauges, meters, machinery for watch-making, swatches of material…. they all interest me and they serve to give me a conceptual and ironic nod, through which each tool, with a minimum of intervention on my part, becomes a new and unique piece of perfectly usable jewelry and brings out the personality of the one who wears it.” he tells Ecouterre. In addition to glorifying the forms of his treasures, he takes great pleasure in watching how people react to the pieces that he wears out into public. By elevating utilitarian items to the level of precious jewelry, Remedios Vincent asks the viewer to reconsider what can be considered valuable and decorative. Simple mechanical and rigid designs can be just as appealing as organic flowing work originally intended for decoration. What differentiates jewelry from a tool may be as little as a chain, brooch backing, and intention of the wearer. Literally fusing form with function, he adds a comedic air to his work that stimulates the imagination.